For those looking for a replacement for Microsoft Visio, Calligra Flow is may be what you need, despite having a few shortcomings and quirks. Like other members of Calligra Suite places many of its features on the sides of the editing window. Dia, GNOME’s replacement for Microsoft Visio, no longer appears to be an active project (or maybe there is only so much you can add to a diagramming app). If you’re looking for a replacement that is in at least sporadic development, Calligra Flow is a functional twin, despite being written in Qt rather than Gtk and and still being under heavy development. Like Dia, Calligra Flow is primarily a diagram and flow chart program. It is loaded with libraries, some of which appear borrowed from Dia and LibreOffice Draw. These libraries include shapes for flowcharts, circuits, and a variety of basic shapes, only some of which have mouseover help. Other libraries can be added as well, although you will have to ask the developers for the necessary format, since no online help is available. 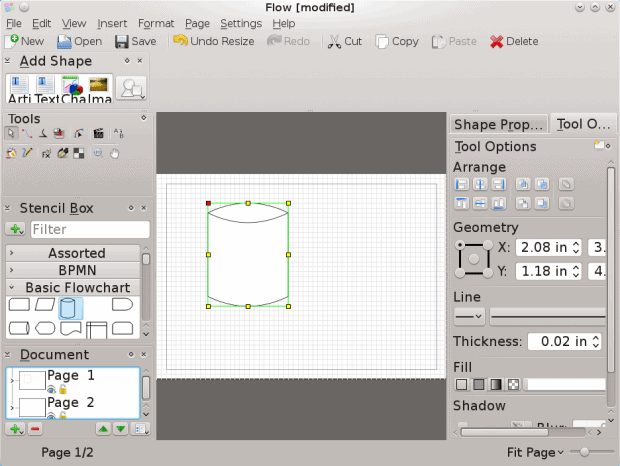 Flow’s Stencil Box includes dozens of libraries for creating diagrams. This lack of help is by far the largest obstacles to learning Flow. For example, unlike in Dia and Draw, you do not select an object from the toolbar, then click on the page and drag outwards to define the object’s dimensions. Instead, you drag an object from the toolbar, release it on the page and, in a second set of actions, drag on the handles on the object’s frame to size and shape it. Such small but fundamental differences are likely to plague you throughout your first uses of Flow. Probably the most annoying is that layers, instead of being given their own menu, are integrated into the Document structure pane, midway in a hierarchy that has the page at its top and individual objects at the bottom. Once you are used to this visualization, it seems a powerfully coherent way of thinking about documents, especially multi-page ones, but until, you do, you might be lured into dismissing flow as lacking layers altogether. 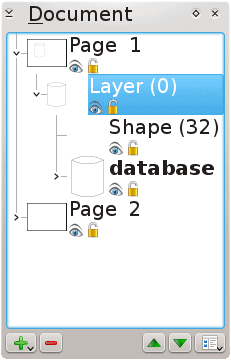 Look for layers as part of the document diagram. By contrast, arranging and formatting shapes is straightforward, because, like other apps in Calligra Suite, Flow places as many features as possible in the left and right margins. Once you get over an initial sense of being overwhelmed by choices, you may come to appreciate have so many features a single-click away. If necessary, you can undock each pane to enlarge it for easier use, although the two panes mean that you probably want to work with a maximized window. Much of your work in Flow can be done by dragging objects with the mouse, especially with Show Grid and/or Snap to Grid enabled. However, its Arrange pane provides a series of shortcuts for moving objects together. You may also want to explore Flow’s tools for formatting pages, its use of master pages, and its Tool pane, which includes icons for connectors (lines that continue to connect shapes even when one shape is repositoned), animation, and calligraphic lines. Flow can frustrate new users, but learning it pays off, especially if you are already familiar with other Calligra Suite applications such as Krita. Still, a week’s worth of work by a developer and technical writers would reveal the swan struggling to emerge from this ugly duckling of a program. 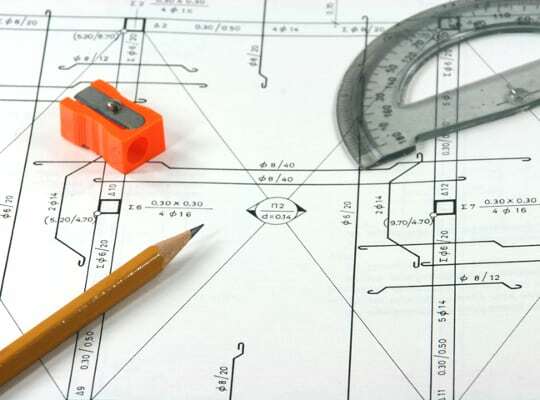 Cover image: Engineer plans by forwardcom for FreeImages.com.